If you are planning to start your own street food business in Gangtok but are confused as to how to initiate it then this is the best part of the website for you. We Chaat Ka Chaska is a new venture of Brewbakes Café have come up with Chaat Ka Chaska Street and Fast Food Franchise Outlet Opportunity in Gangtok. Why Chaat Ka Chaska in Gangtok? The capital city of Gangtok is the hub of various monasteries which includes the Enchey Monastery and the Rumtek Monastery. There are various temples like The Thakurbari Temple, located in the heart of the city is one of the oldest and best known Hindu temples in the city. Also, The Ganesh Tok and the Hanuman Tok dedicated to the Hindu gods Ganpati and Hanuman. Apart from The Namgyal Institute of Tibetology, The Himalayan Zoological Park exhibits the fauna of the Himalayas in their natural habitats. Jawaharlal Nehru Botanical Gardens, near Rumtek, houses many species of orchid and as many as fifty different species of tree, including many Oaks. Thus, it is the best tourist spot and also, the centre of the fast food. People love to eat this fast food in the city while enjoying their trip. Since chaat and fast food lovers are large in number and prove to be your potential customers. You can enjoy making money through this business of Chaat Ka Chaska Street and Fast Food franchise outlet in Gangtok also, this marks the to be the best and a very safe business opportunity for you. There are different varieties of chaat available in the city but do you know the taste of Chaat Ka Chaska is special when it comes to street food speciality. 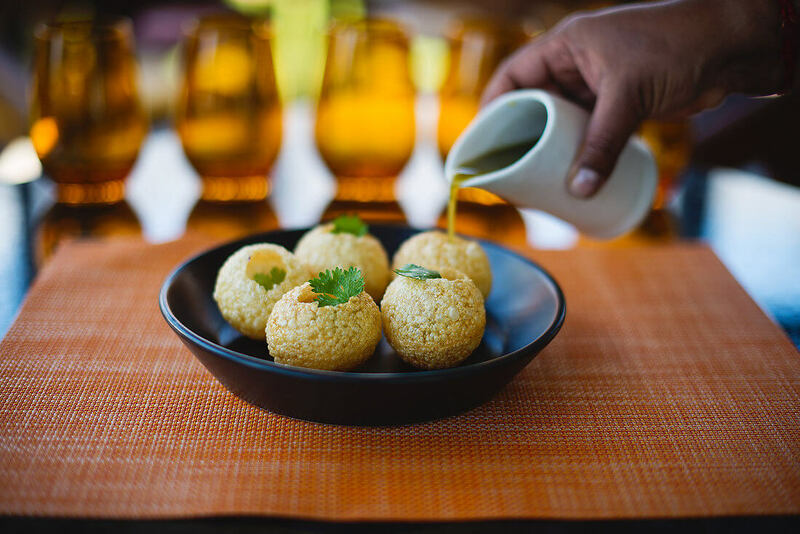 We are specialised in catering different types of chaat ranging from plain chaat to samosa chaat, Golgappas, Aloo Tikki, Raj Kachori, Bhel Pori, Sev Pori, Dahi Paapdi, tasty Pakodas to Pav Bhaji and other many fast food varieties. Each item of our street food is inspired by the original recipe and is quality of our chaat has popularised us to be your street food partner. Why Do We Stand Different? We at the Chaat Ka Chaska Street and Fast Food Franchise Outlet Opportunity in Gangtok apart from other franchise company do not just show the formality of support but we stand to every new need of our franchise holders. From supplying the essential amenities, products we also, take up the task to even train the staffs to make appealing street foods in the precise manner. Our quality services makes to stand different and popularise in the field of letting franchise. We have successfully served a number of franchise outlets in the food industry so we are highly experienced and professional in handling the various obstacles that come across. Moreover, Chaat Ka Chaska Street and Fast Food Franchise Outlet in Gangtok aid you to understand the food business from the root. So, join the venture!